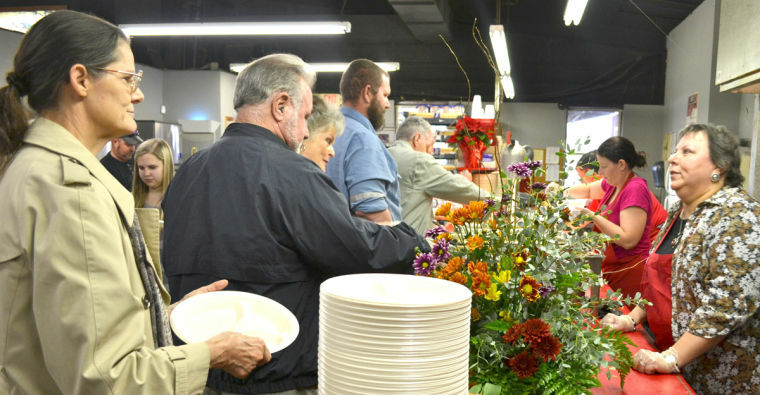 Larry and Judy Higgins welcomed a growing family to their Glen Rose business, Hammond's BBQ, for its 15th annual community Thanksgiving Day feast. 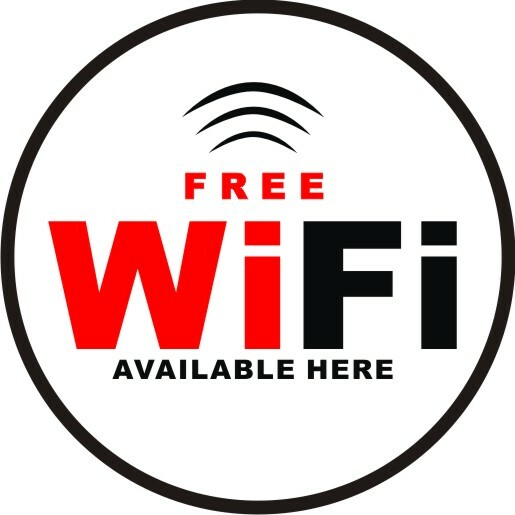 We've upgraded our Internet & Television service to Charter's Spectrum Business and have added Hot Spot service for our customers. 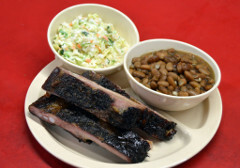 Try our rib plate with your choice of 2 vegetables & Texas Toast. Your choice of 2 or 3 meats with 2 vegetables & Texas Toast. Substitute a baked potato for two vegatables. Available in small or large. 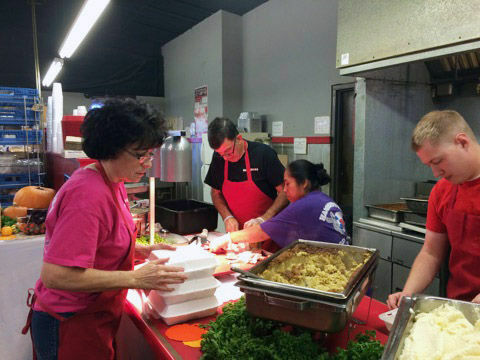 Choose from sliced or chopped brisket, sausage, ham, turkey or hotlink. Don't forget to add an order of fries. 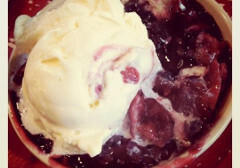 Don't leave without trying some of our cobbler (apple, peach and blackberry). Top it with some Blue Bell vanilla ice cream. 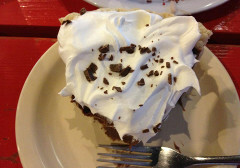 Sometimes, but not always, we have homemade pies as well. Ask us about taking home a whole pie or cobbler. 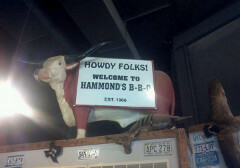 Hammond's BBQ was opened in Glen Rose, Texas in 1966 by A.J. and Liz Hammond. A.J. built a pit in his backyard and using BBQ recipes he had learned as a kid in Burnet, Texas, opened for business. Great BBQ here! 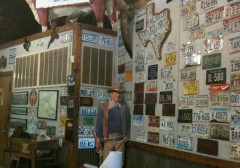 You must stop and have lunch here if you are ever passing through Glen Rose. 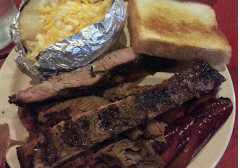 Splendid atmosphere with great customer service, tasty barbecue sauce and generous portions of brisket, sausage, and okra. 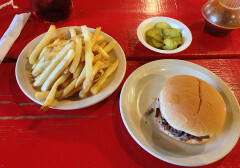 Hammond's Bar-B-Que will be getting another visit from me the next time I come to Glen Rose!